Rendcomb pupils were in action across a range of sports this week. 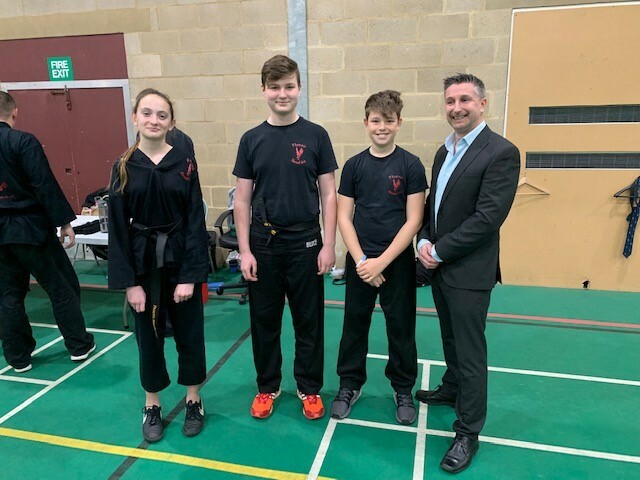 Firstly a huge ‘well done’ to Year 8 pupils Amelia J, Henry C and Roo J who successfully achieved their 2nd degree Black Belt. In football, Jemima L’s U14 Ashton Keynes side beat Melksham Blacks yesterday in a thriller to win the Wiltshire County Cup. 3-2 was the final score. The 2nds were leading 1-0 but Bloxham came back to win 2-1. However, the performance was very promising because a developmental side of mainly Year 11s and Year 12s were selected, which bodes well for next year. Man of the match was Matt A who put in a performance of the season at right back. A special mention goes to Luca who scored his first goal for the College. Having never played hockey before this year, it is no more than he deserves after showing incredible improvement each week and always delivering an energetic performance. Just in time too because he leaves at the end of this term and will be sorely missed. This was an incredibly polished performance by the team. It was evident that they had reflected and learnt form their mistakes in the two previous games. The boys moved the ball about well, attacked Bloxham down the flanks, and crossed the ball accurately into the D where the Rendcomb strikers took full advantage. Defensively, the team were solid only allowing Bloxham to cross the goal line once in the match. Well done boys on a superb effort, a fitting end to the competitive season winning 11-1. The U12B Team had a fantastic game against Bloxham. They played with great determination and led from the start. They were determined from the start and worked so well together as a team securing a 5-1 win. Well done boys. It was a tough afternoon for the U13 A team up against a very talented and skilful Bloxham side. We conceded an early two goals but fought hard to gain advantage with a great link between defence and attack to finally get a goal. Despite all efforts the boys were just put under too much pressure and goal scoring opportunities were hard to find. Final score 5-1. Having already faced Winchcombe 3 times this term in various tournaments, Rendcomb U14’s once again faced a familiar opposition on Thursday. Our boys started strongly, with solid midfield play from Ed, Nathan and George in the middle. On the few occasions that Winchcombe managed to break through, they came up against a resolute Rendcomb defence, ably led by Jensen. Despite repeated pressure from Max, Jaspar and James up front, the Winchcombe defence held firm until Ed scored from a short corner. An entertaining and competitive game continued and Ed completed his hat-trick with 2 more well worked goals in the second half.